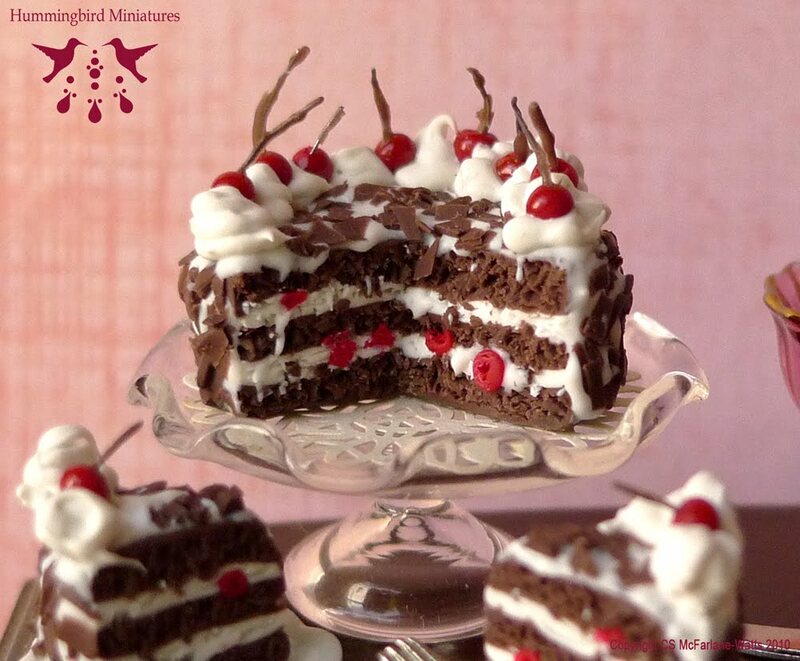 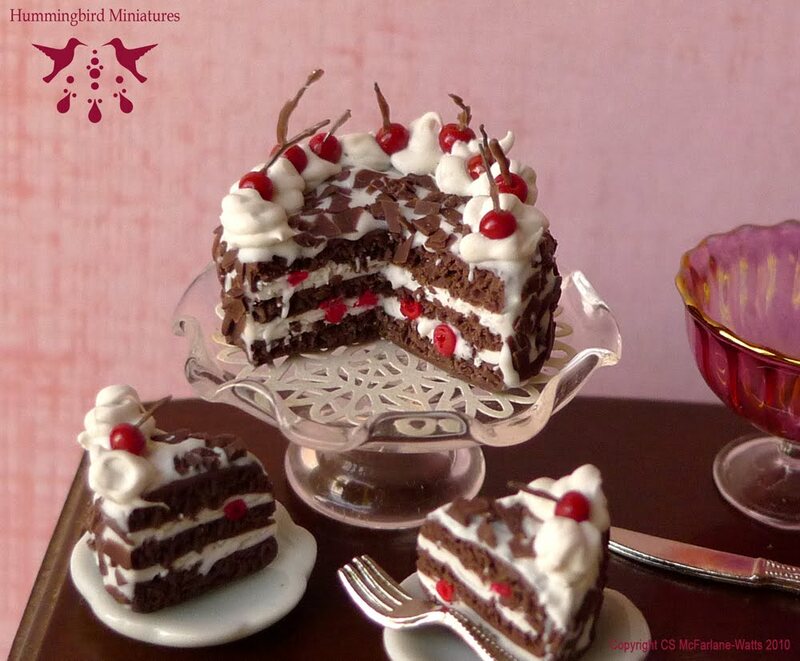 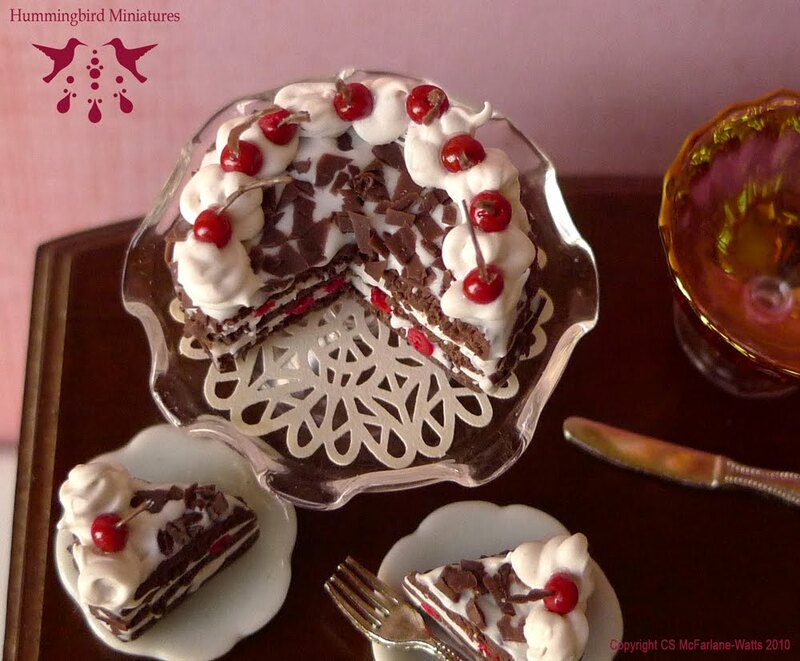 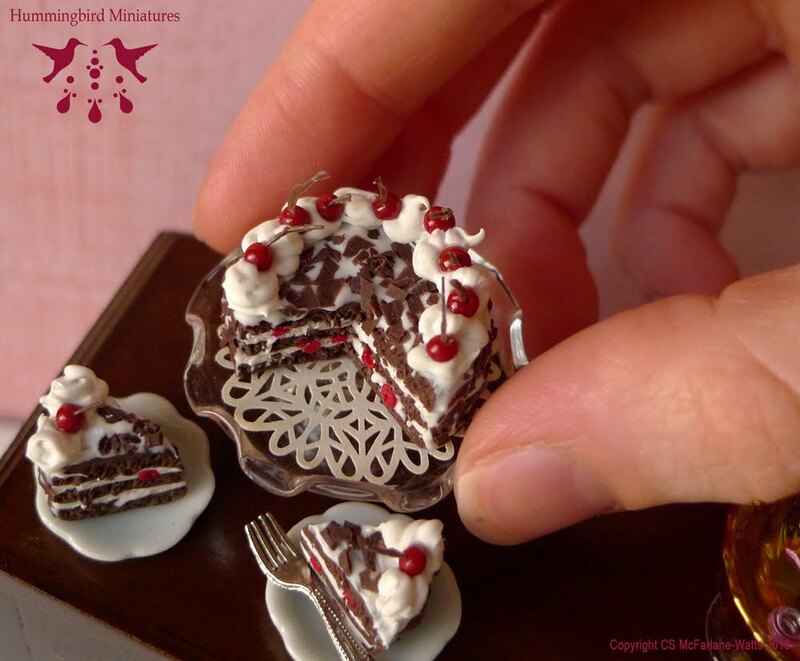 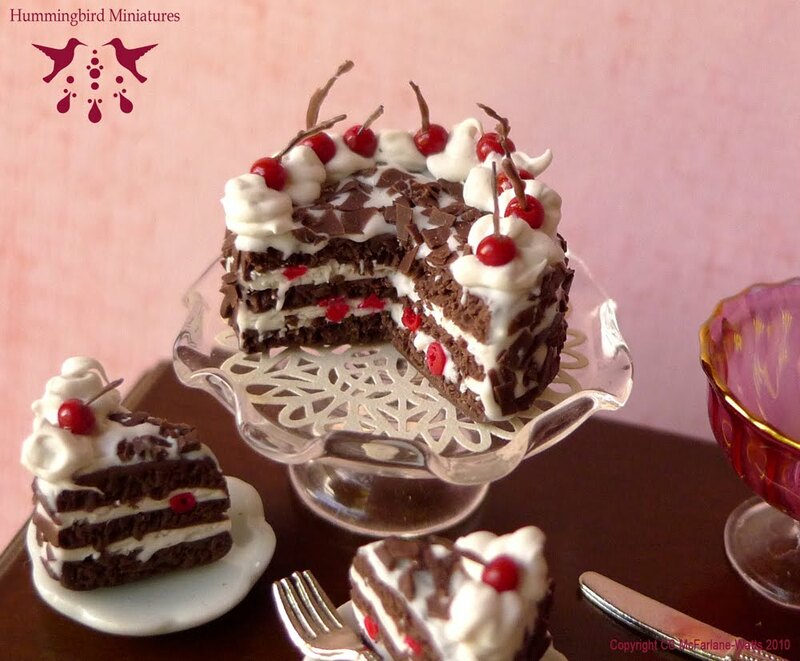 In 1:12 scale, this new black forest gateau is 3 layered, with cream and cherries. Made from Polymer clay and available on my Etsy store! 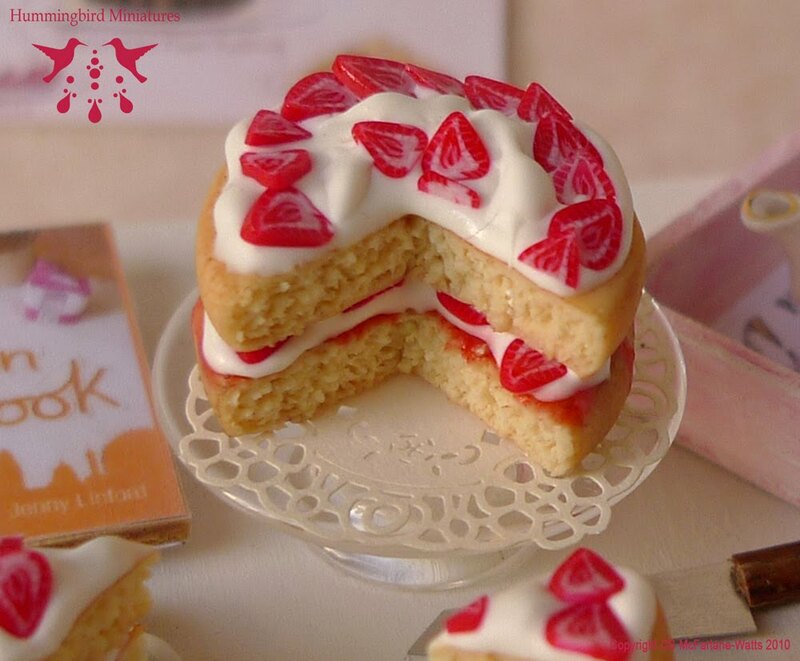 Inspired by summer, this Strawberries and Cream cake is vanilla sponge, cream, strawberry jam (jelly) and slices of strawberries. 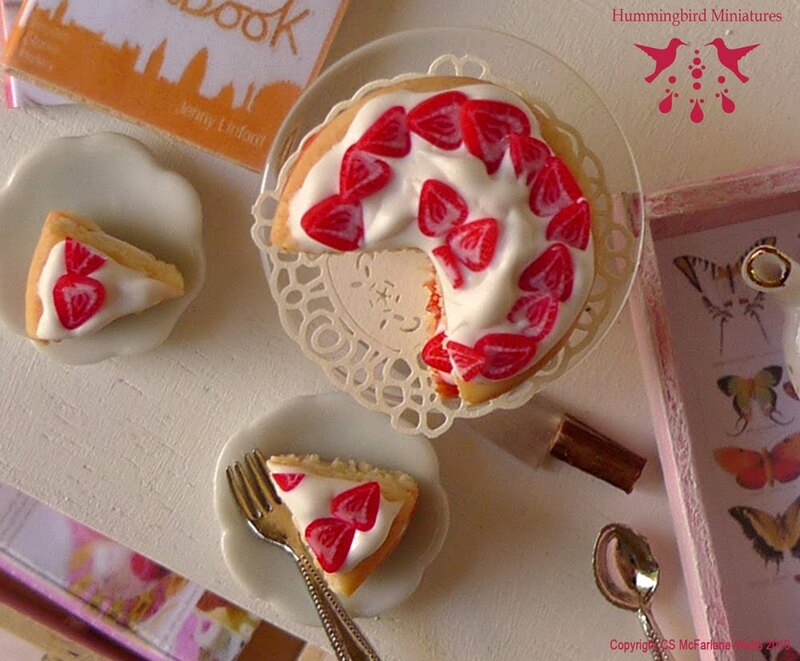 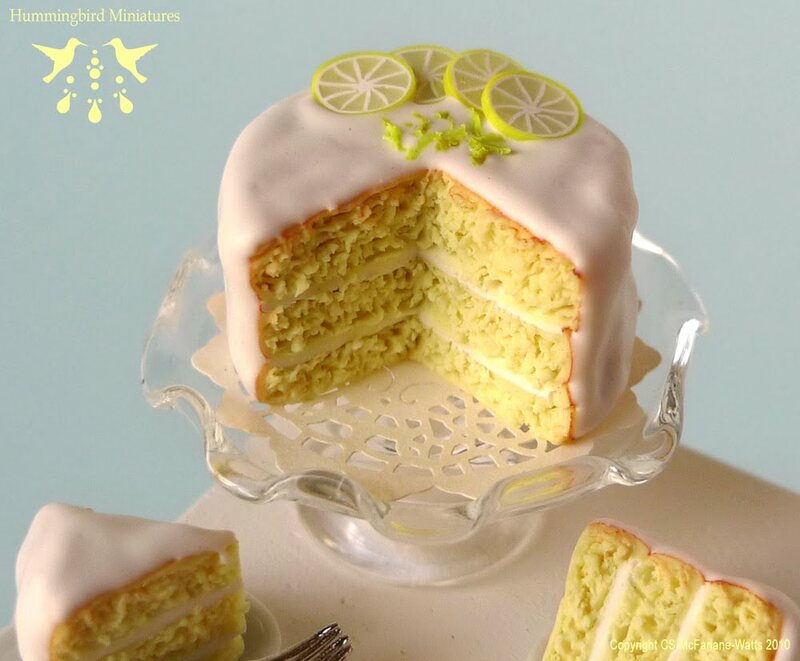 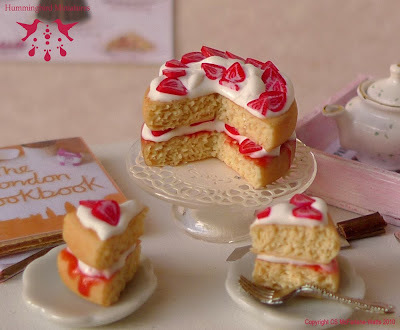 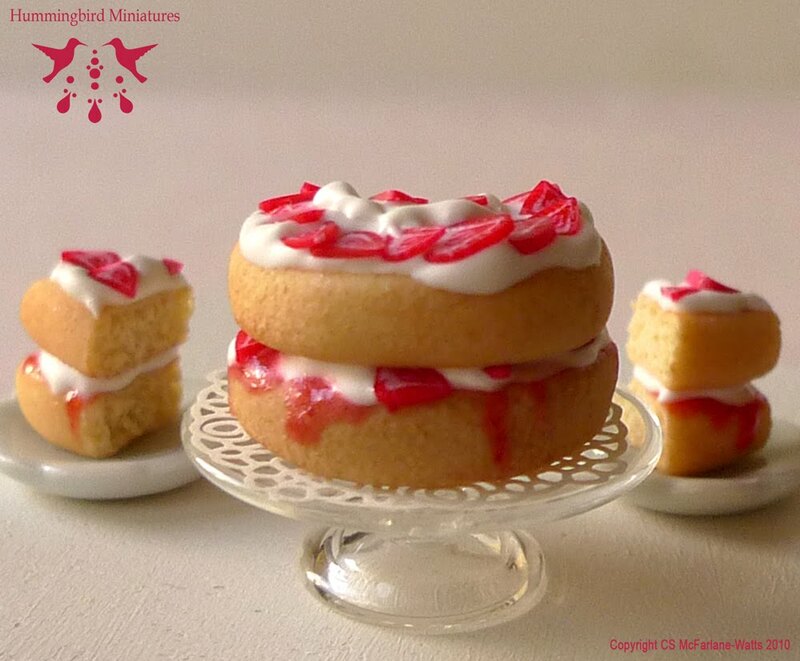 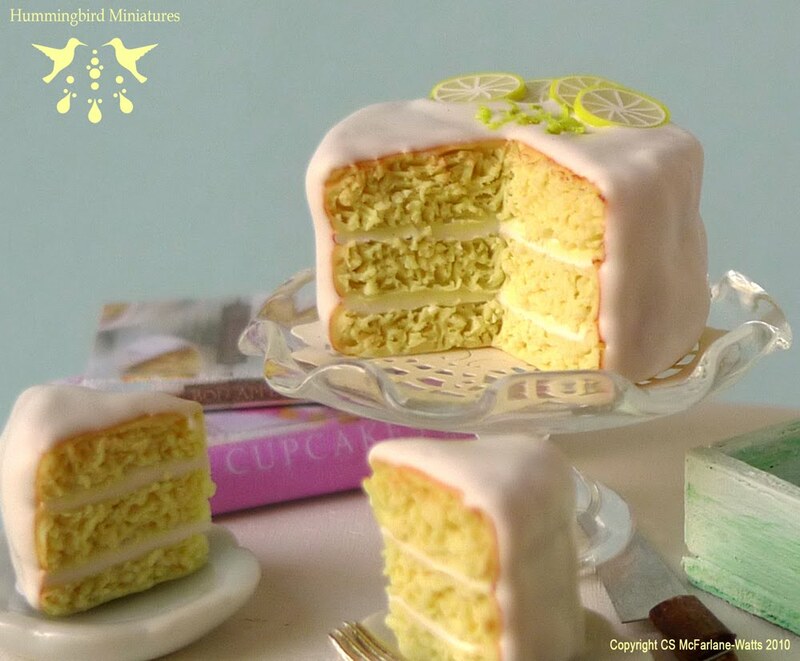 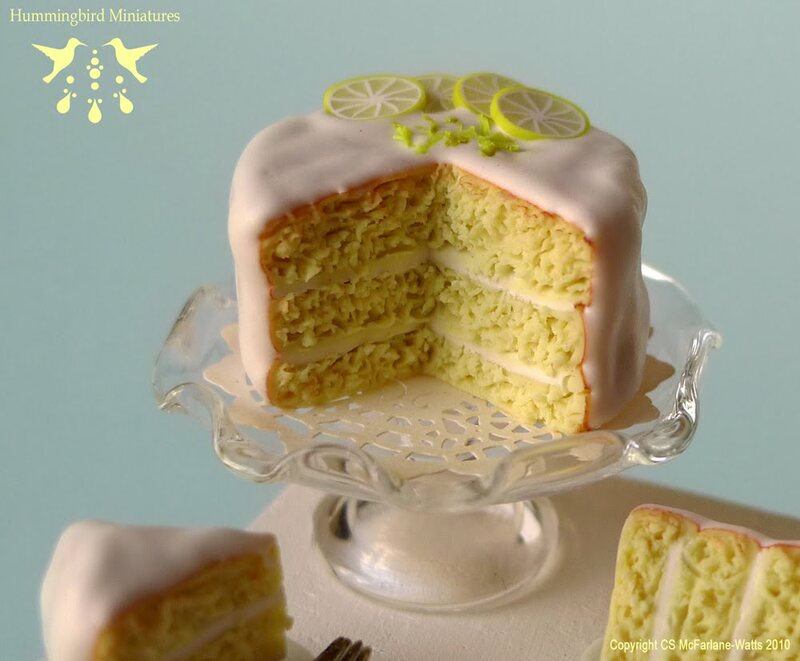 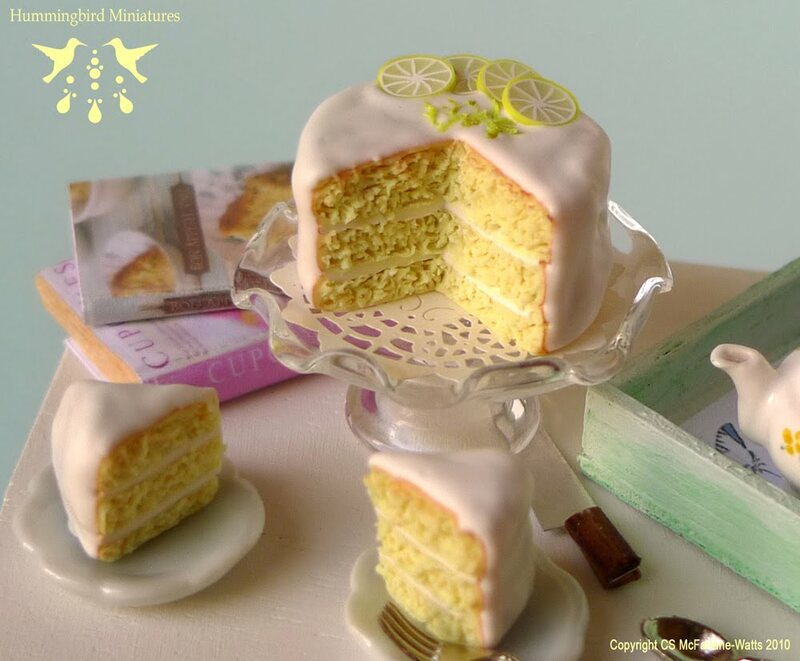 A very English cake! 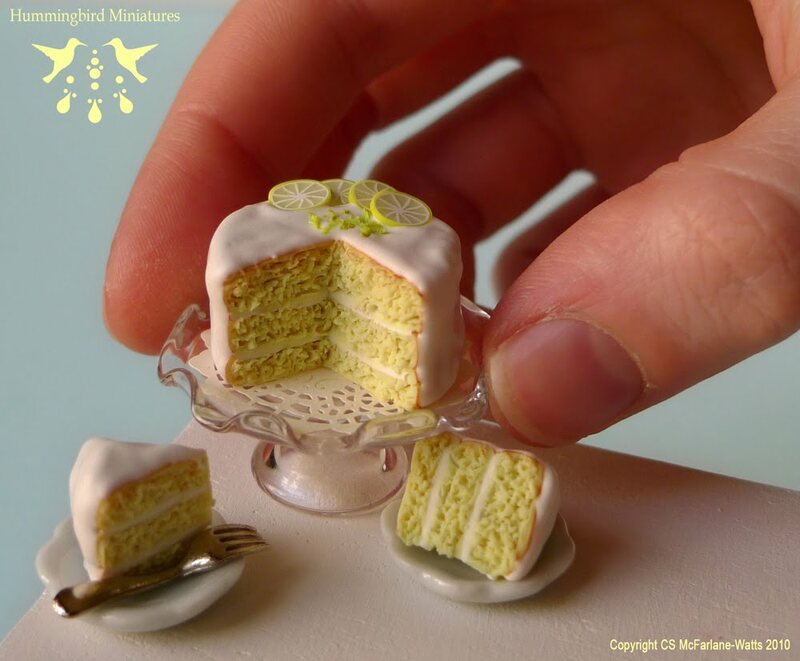 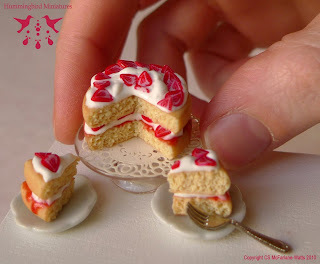 Made in 1/12 scale from polymer clay.